What is the value of the broadcasting weather service offered by Weathernews? – Weathernews Inc.
What is the value of the broadcasting weather service offered by Weathernews? On December 27, 2016, the broadcasting weather service offered by Weathernews received the News Manager Award from the Kyushu Asahi Broadcasting (KBC Television) News Division. KBC Television is a television station mainly broadcasting in the Kyushu region of Japan. Why did KBC see fit to bestow this honor on Weathernews? 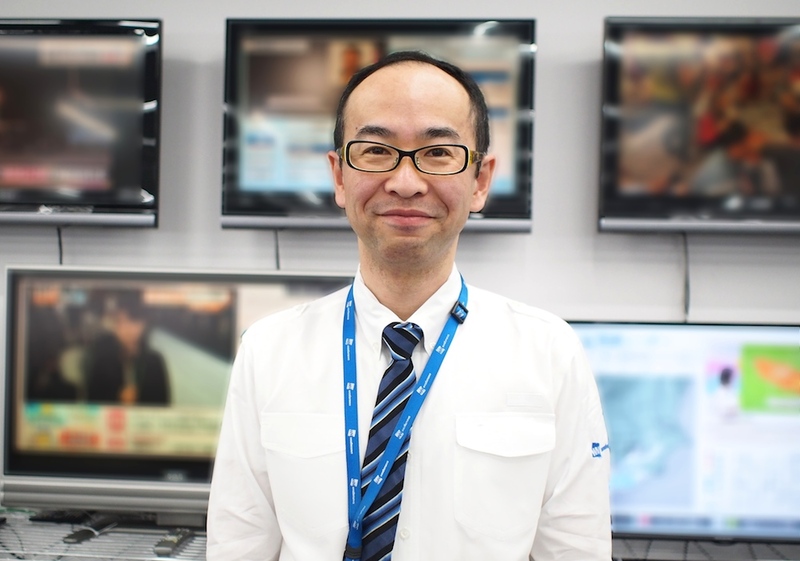 We asked Munehiro Okuda, Operations Leader of the Broadcast Weather Team. -First, what precisely is the broadcasting weather service offered by Weathernews? We mainly provide services to the news divisions of television stations that keep an eye out for what is happening in society, go out into the field to investigate, and edit this information into news programs. Weather information garners much interest among viewers in day-to-day news programs, making it core content for news divisions. In order to ensure that weather information is delivered to viewers correctly and in a straightforward way. We prepare weather manuscripts used every day by newscasters communicating through the camera, and provide computer-generated images used in weather segments. We have also begun conferring with TV stations about what to cover as news. For example, if the temperature is expected to change suddenly, we propose interviews in the street to collect comments on whether feel “cold” or “hot” and coverage of people shopping in supermarkets or eating in restaurants to convey how food preferences are affected by the way people experience changes in the weather. (Hot pot dishes are popular in Japan when the weather is cold.) Also, when heavy rain or heavy snowfall is forecast, we frequently work with our Transportation Weather Center to propose content for communicating the expected impact on transportation in view of the impact on society. Recently, there has been an increase in requests not only from news divisions but also from the programming divisions which manage broadcasting slots and coordinate with affiliated stations and sponsors when there is an urgent change in programming. For example, in weather conditions on a disaster level, emergency programs are sometimes broadcast to provide warnings to the people in affected regions. When doing so, it is necessary to obtain the consent of affiliated stations and sponsors rather than making changes unilaterally. Speed is essential in emergencies, and conveying disaster-level weather conditions when they are forecast to allow television stations to be prepared enables them to begin coordinating with affiliated stations and sponsors from an early stage. This is how our broadcasting weather service provides multifaceted support to the news operations of TV stations related to weather by fully leveraging the information possessed by Weathernews. This requires a deep understanding of the operations of television stations, regional weather characteristics and the interests of viewers. You could say that we serve the role of the “Weather Desk” in a television station. - What was recognized for this Kyushu Asahi Broadcasting News Manager Award? KBC Television is a television station that is very focused on local programming. 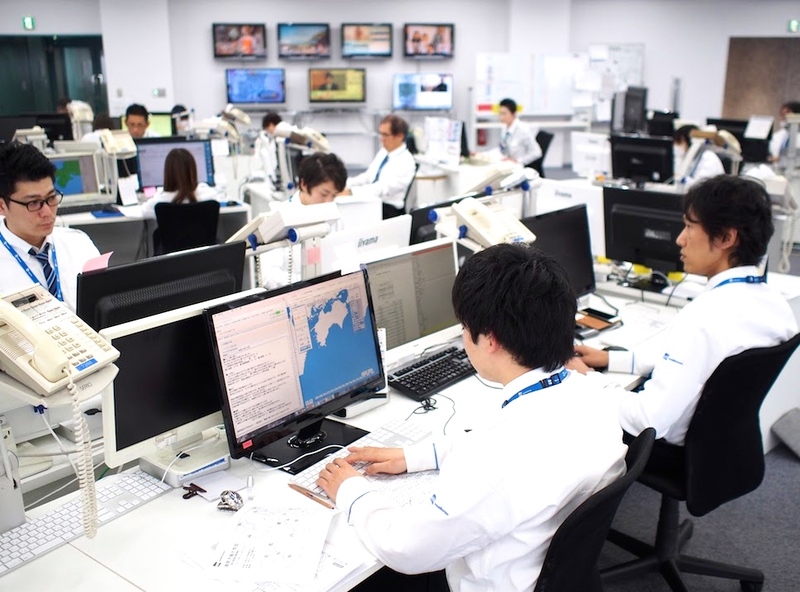 I think they recognized that we have continued to steadily and actively support KBC Television’s news operations with an understanding of the weather characteristics of Kyushu and the interests of its inhabitants, and the desire to say “Leave the weather in Kyushu up to us!”. We are very pleased that we have been recognized as the “Weather Desk” of KBC Television. - Weathernews has provided broadcasting weather services since it was founded, but do you think the news operations and needs of television stations have changed? After the Great East Japan Earthquake of March 2011, the importance of disaster coverage has been reevaluated in television stations, and I think the diversification of broadcasting methods has progressed. Immediately after the Great East Japan Earthquake, swift coverage by many television stations conveyed the enormous damage caused by the earthquake and tsunami to the entire country. In addition, despite the need to warn the victims in affected areas of secondary disasters caused by aftershocks, snow and rain, and health concerns caused by the cold, television stations had the regrettable experience of being unable to deliver information to victims of the disaster due to a lack of televisions in evacuation centers and damaged infrastructure. Based on this experience, television stations have recently begun efforts to utilize a variety of media such as the Internet to convey disaster information and the latest weather information. To achieve this, in addition to closer communication, I feel innovation regarding ways of presenting weather content to suit the Internet is necessary. - Weathernews provides services to 44 markets. Are there any service concepts or values that are common to all of them? The value of Weathernews’ services is solving customers’ problems through weather. I think many people would envisage weather services as involving the provision of data such as meteorological observation/forecasting data and satellite images, but it is our view that we can only serve our customers if we provide the information that is needed when it is needed, and follow-up until the most suitable action has been taken. This is the service policy that has been carried on since Weathernews was founded. We will always communicate with customers to consider what action they should take to safely avoid weather risks or use the weather as an ally to generate profit.